With last week’s challenge being Christmas, I was still in the Christmas spirit when I designed this card. I used a digi from Bugaboo stamps called, “Tropical Santa – Surfboard.” The sentiment is from SSS. I coloured Santa using Copic markers, and layered him n some fun beachy card stock from my stash. Please support all our sponsors who generously provide our prizes. This week’s challenge is Christmas. It is never too early to make Christmas cards. With the nursing home residents I make cards for and my friends I need about 200 cards each year, so I love Christmas challenges as it helps me get my cards ready. For my card I used a digi stamp from Melonheadz called ”Checking it Twice”. I coloured Santa with Copics markers, then embossed the panel using Stampin Up’s, retired Northern Flurries embossing folder. Please support our sponsors. They very generously supply us with our prizes! C.R.A.F.T. – Challenge 372 – 14th of July – Thank You (Teacher)! This week we are challenging you to make a Thank You card for a Teacher. 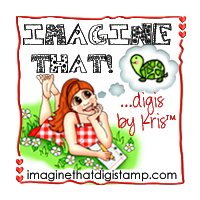 I have chosen a digi stamp from Bugaboo Stamps and created both front panel and inside panel for the card. I coloured the front panels with Derwent Inktense Watercolour Pencils. For the inside colouring I used Copics. The sentiments are computer generated! The Teacher diecut is from Papertrey Ink. Please support our generous sponsors. Bugaboo stamps currently have their 50% off Christmas in July Sale. This is a perfect time to take home some fabulous stamps!